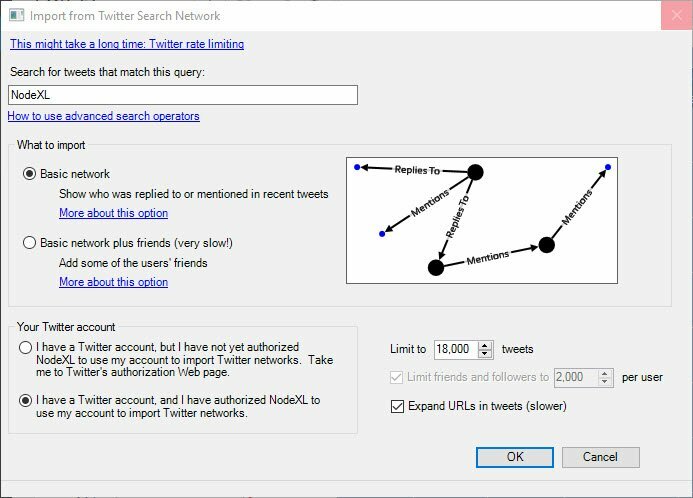 The Twitter Search Network importer can collect up to 18,000 recent tweets from the past 9 days on any search query, keyword, hashtag or user name. 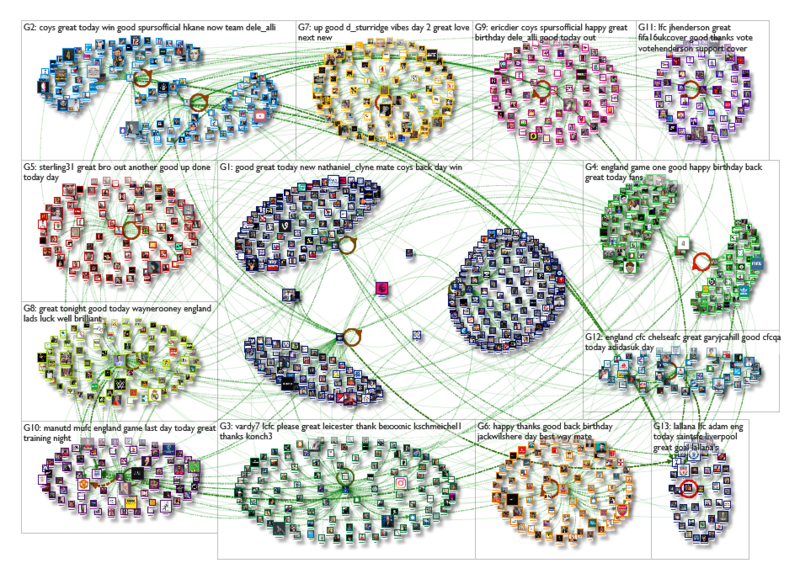 Experienced NodeXL users limit the maximum number of tweets to 5,000 or 10,000 which is more than enough to get a good snapshot of most topics. These options open up a many opportunities to understand online discussions, monitor brands, compare competitors and identify influencers. 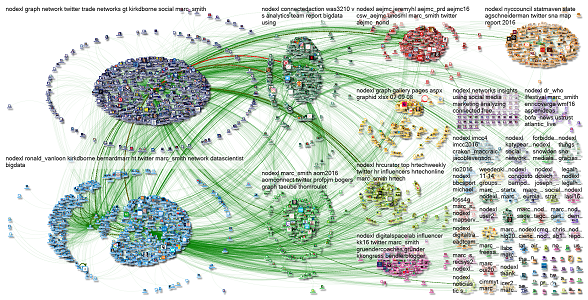 Have a look at a sample network map on the search term “foss4g OR foss4g2016” in NodeXL Graph Gallery with data collected by the Twitter Search Network importer. The Twitter Users Network importer offers a different view on Twitter data as it allows to focus on user accounts and lists. The maximum number of tweets available per user has recently been raised to 3,200. Depending on the tweet activity of a user, you may receive many years of data. You can either enter your own list of user accounts in the import window or pick any public Twitter lists to gain insights into communication patterns of any group of users e.g. companies in a certain industry, politicians in parties or institutions, athletes in sports teams, or whatever you might be intetrested in. On the right you see a network map created from a list of all soccer players from team England during the European Championship 2016.